Sag Harbor, NY - May 22, 2015 - Bay Street Theater & Sag Harbor Center for the Arts is pleased to announce Altman’s Art, a screening of Gosford Park and a discussion of the work of one of Americas greatest filmmakers on Monday, June 8 at 7 pm. The evening will also include a talkback hosted by Bob Balaban, with Guilia D'Agnolo Vallan, and Kathryn Altman-the widow of Robert Altman. Tickets are $20 and are available online at baystreet.org or by calling the Bay Street Theater Box Office at 631-725-9500, open 11 am to Showtime daily. 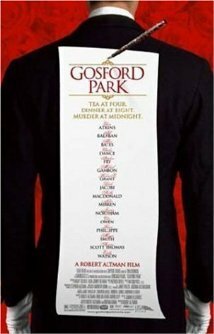 Gosford Park, the film by Robert Altman is a British murder mystery satire that's drawn comparisons to Jean Renoir's classic Rules of the Game and Ten Little Indians, based on the novel by Agatha Christie. The scene is 1930s England, where an aristocratic family and their friends enjoy a hunting party weekend. But are there killers among them? The film features multiple storylines, showing the fairly boring lives of the rich and famous upstairs, and the more intriguing ones of the servants downstairs. Following the talkback, there will be a book signing of the biography Altman by co-authors Kathryn R. Altman and Giulia D'Agnolo Vallan. For decades, Robert Altman fascinated audiences with pioneering films such as M*A*S*H, Nashville, The Player, and Gosford Park—that combined technical innovation with subversive, satirical humor and impassioned political engage­ment. His ability to explore and engage so many different worlds with a single, coherent vision changed the landscape of cinema forever. This signature "Altmanesque" style is, in the words of Martin Scorsese: "as recognizable and familiar as Renoir's brushstrokes or Debussy's orchestrations." Now, the Altman estate opens its archive to celebrate his extraordinary life and career in the first authorized visual biography on the iconoclastic director. "Altman," by Altman’s widow Kathryn Reed Altman and film critic Giulia D’Agnolo Vallan, brims with photographs and ephemera, many culled from private family albums, and personal recollections of the director. Alongside the intimate illustrated story is a complete visual, historical, and critical narrative of Altman’s films and his process. To honor the Altman trademark of using a wide cast of characters, Altman also features contributions from his collaborators and contemporaries including Frank Barhydt, E. L. Doctorow, Roger Ebert, Jules Feiffer, Julian Fellowes, James Franco, Tess Gallagher, Pauline Kael, Garrison Keillor, Michael Murphy, Martin Scorsese, Lily Tomlin, Alan Rudolph, Michael Tolkin, and Kurt Vonnegut Jr.
Tickets are $20 and are available online or by calling the Bay Street Theater Box Office at 631-725-9500, open 11 am to Showtime daily. Subject: LongIsland.com - Your Name sent you Article details of "Altman’s Art with Bob Balaban Monday, June 8 at Bay Street Theater"